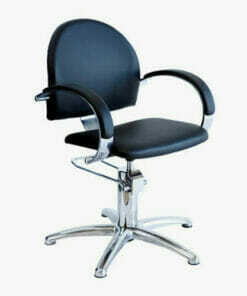 Crewe Orlando Bermuda Hydraulic Styling Chair. 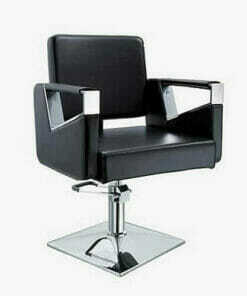 A classically designed salon chair, which is both practical and affordable! Hand built in the UK. 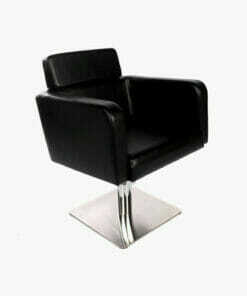 Perfect for any traditional hair salon or barbers shop. 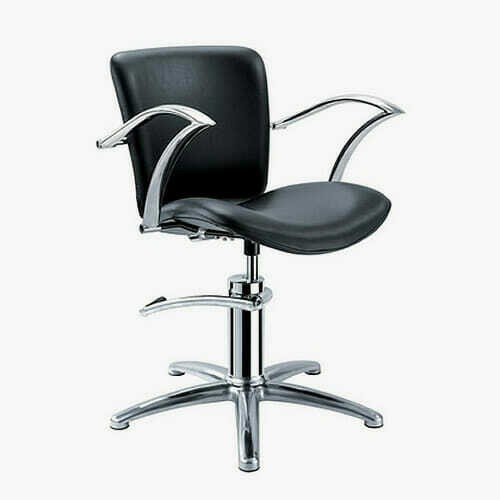 The Crewe Orlando Bermuda Hydraulic Styling Chair features stylish curved chrome arm rests. And a chrome plated 5 star base, on a locking hydraulic pump. This allows for easy height adjustment. 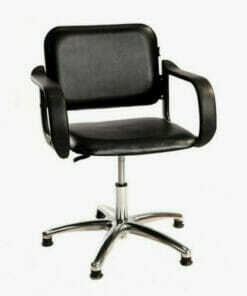 And prevents the chair from rotating while in use. 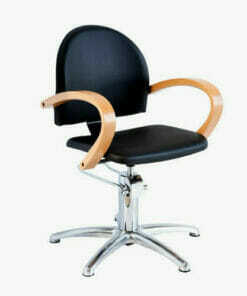 The Bermuda boasts a slightly curved shape to the seat and back rest. 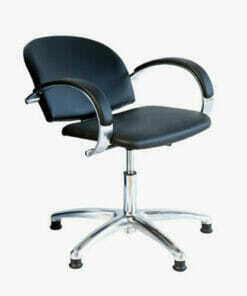 This helps to give your client both comfort and support. 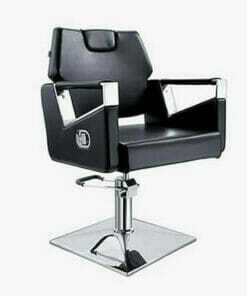 The Crewe Orlando Bermuda Hydraulic Styling Chair is upholstered in black fabric as standard. 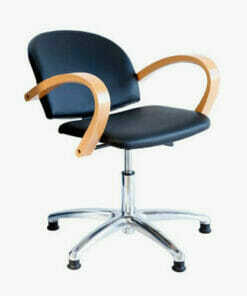 The chair can also be made to order in a range of other colours (please see chart below). 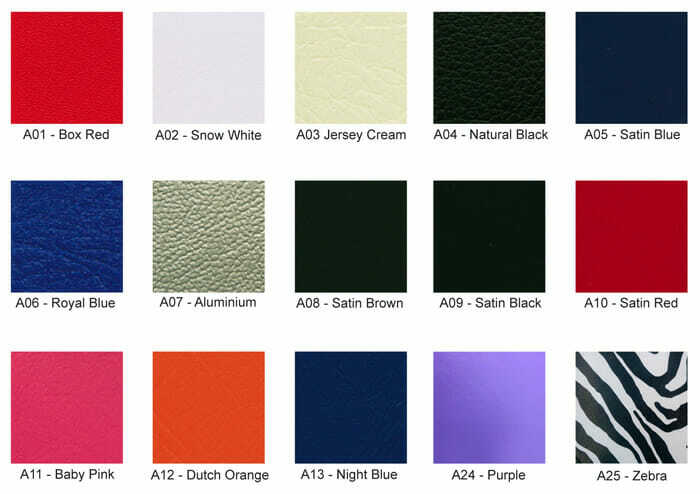 Please allow 10 – 14 weeks for coloured upholstery. 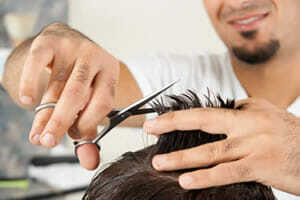 Call us on 01270 630280 to discuss delivery further. Dimensions: Width – outer arms 57cm, inner 48cm. Height – min 47cm, max 57cm. Depth – 60cm. 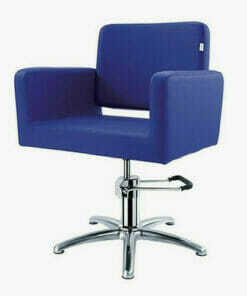 Also available as a stand alone backwash chair, full wash point unit, or dryer bank. From the Crewe Orlando Bermuda range.